All the games. 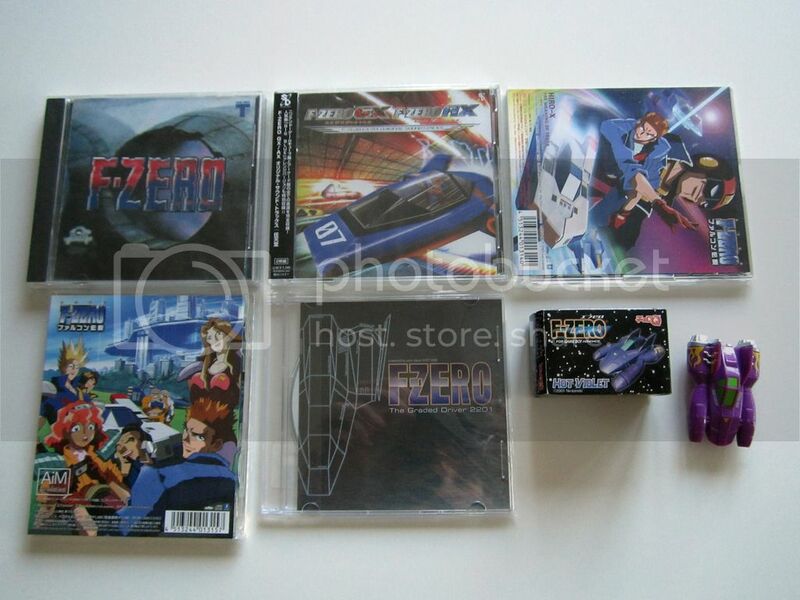 The Satelaview memory card has F-Zero 2 on it. 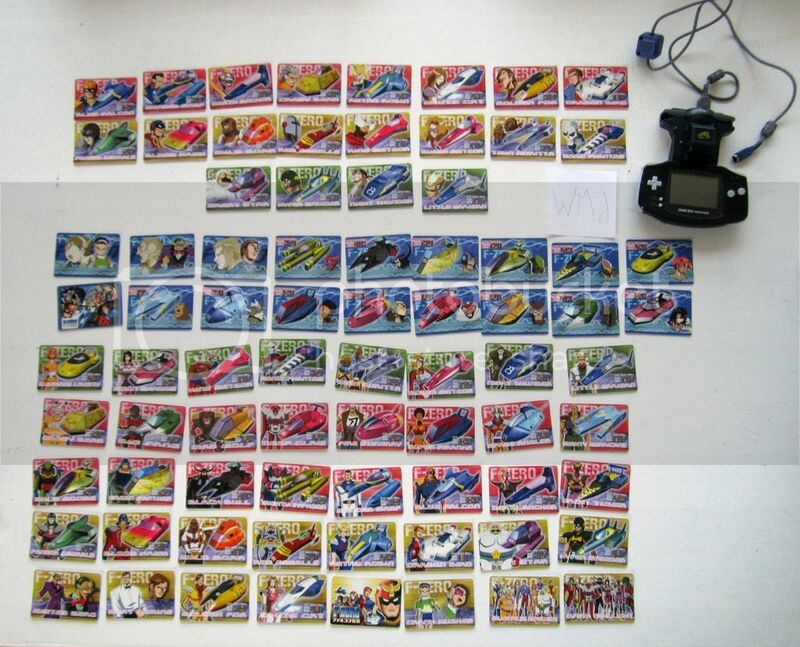 All 78 F-Zero Falcon Densetsu e+cards and e+reader. The top half is the cardass set of 38 cards. The bottom half is the pillow pack set of 40 cards. 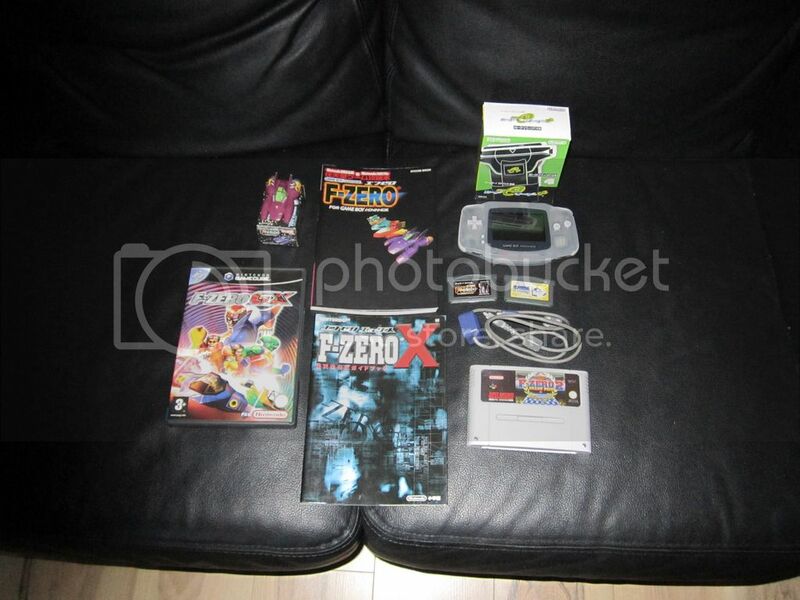 Some stuff that were prizes in the 2016 F-Zero meetup and tournaments. 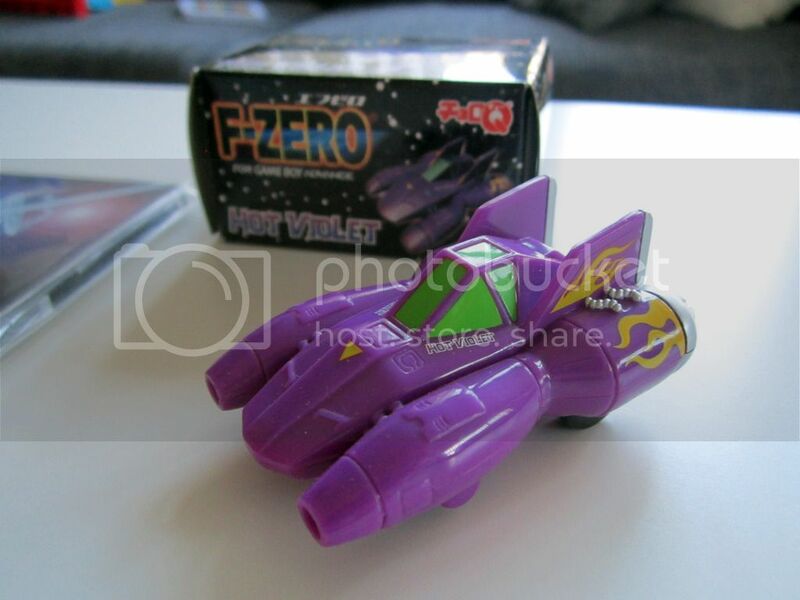 Picture included for MV Hot Violet Figurine. @Faizer: It does look quite similar to Blood Hawk. Quick pointer: painting only the tip bright yellow and deep red from there would improve the look. Now it fades more gradually. Also, you could maybe take off the wheels? @WMJ: nice pics. 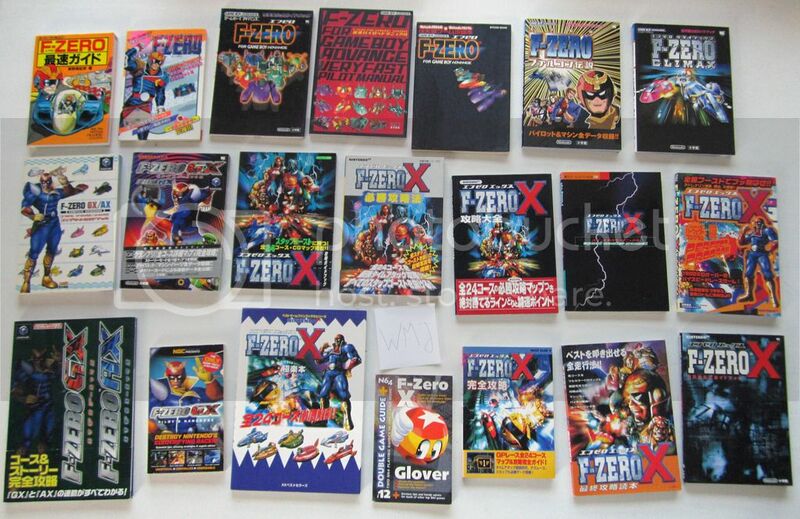 F-Zero X box art is amazing. 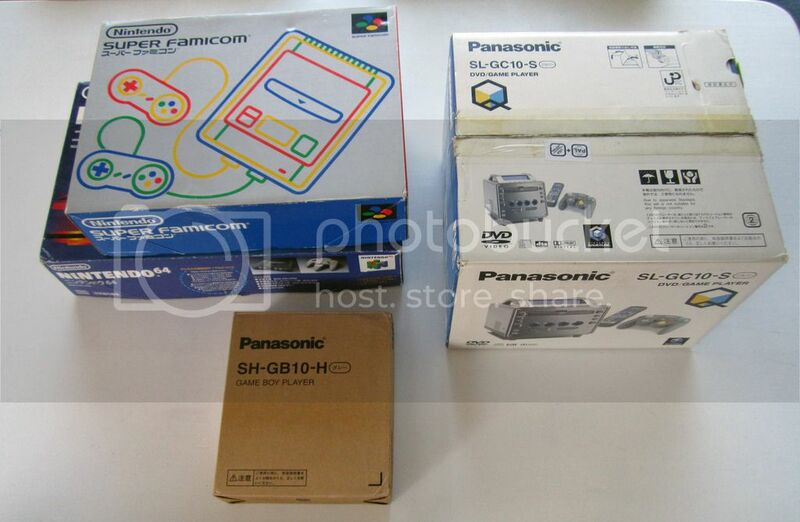 Also, Panasonic Q! I bought a Jap N64 and X (I'm PAL region) a while back and also (finally) the Expansion Kit. Don't have a 64DD. 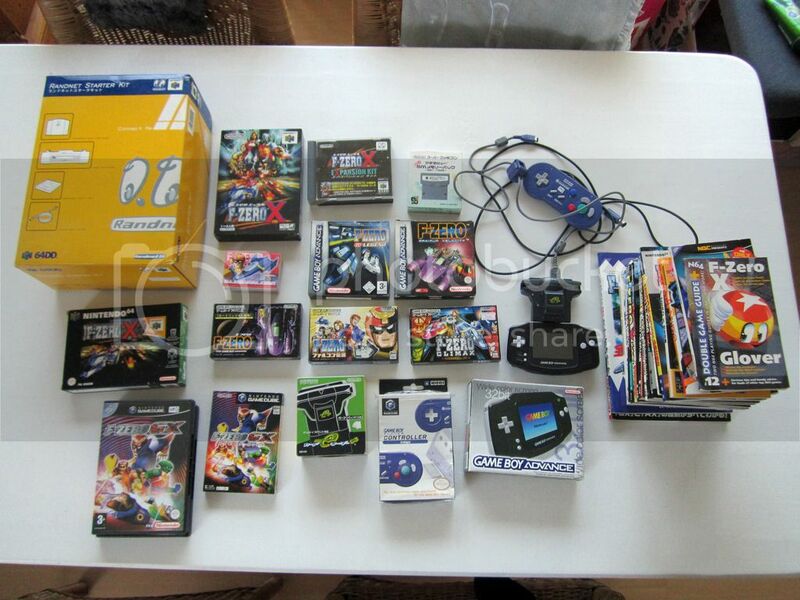 Used to want that way back and even if it was significantly cheaper on ebay in those days, I never took the plunge. Was really tempted by your sale on here a while back. 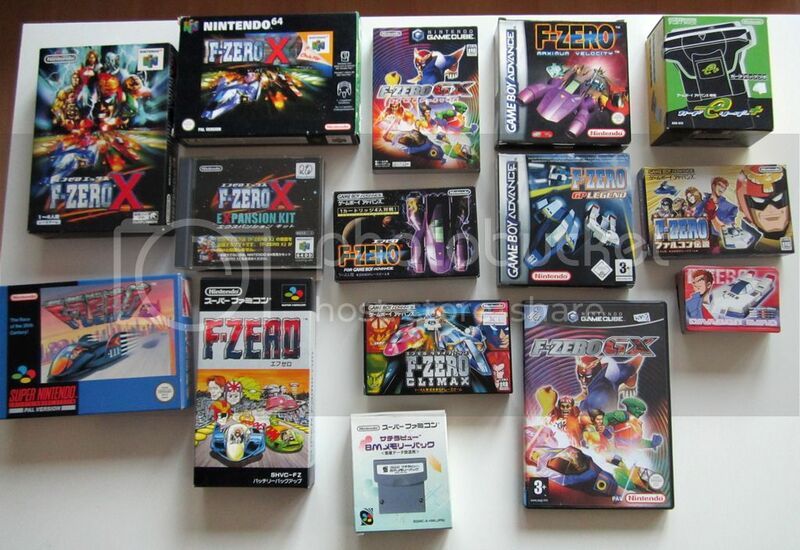 Big props on offering a nice package for a modest price to F-Zero fans, rather than going for the highest bidder. I kind of decided to give emulation a shot. I'm up for some new tracks and might even try my hand at making a few myself. There's also the sharper graphics, 16:9 and improved draw distance patch (not sure if that last one is out yet). Just need to get a machine with windows running and am looking at the bliss box as controller adaptor. Would also like to have one of those guides to have a visual representation of all the tracks. 2D Fzeros I've never been into much. Owned GP Legend for a while. I played that one after the 3DF-Zeros. Felt like a big step backwards, even if they are good racing games in their own right within those technical limitations. I take it Climax is the best one.